Not all fabrics are created equal. Certain materials lend themselves better for different situations. CAT Specialties carries many different types of fabrics ranging from light and stretchy to thick and protective. Here’s a breakdown of the pros and cons of each type of fabric. 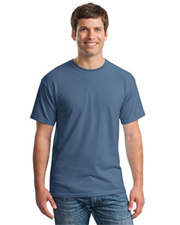 Praised often for its comfort and breathability, cotton is the most popular fabric for general use clothing. Although it is prone to shrinkage, CAT Specialties carries a variety of pre-shrunk cotton garments that shrink less (~3-5% vs. 10-15% non pre-shrunk) but still offer the comfort of non pre-shrunk cotton. Combines the best of cotton and synthetic materials, 50/50 blends offer a similar feel to 100% cotton but are a bit more durable and less prone to shrinkage. Blends can also be a more economical choice to 100% cotton when cotton shortages affect global markets. 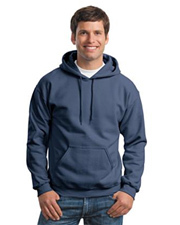 A much more durable material, 100% polyester is strong, easily dyed and shrink resistant. Newer performance apparel is also treated to wick moisture from the body making it an excellent choice for athletes, however, special care must be taken with performance wear since dry cleaners can wipe away this treatment. The rayon in these types of garments is great for creating a stretchy fabric. It’s not recommended for imprinting large artwork as the stretch of the fabric can distort the artwork and eventually it will erode away. 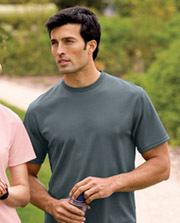 Great for athletic wear with small imprinted logos on parts that won’t stretch. Different manufacturers and different styles blend their own unique varieties of blends, so check the label to see how much of each material is blended. Another factor that determines the right fabric is the weight. Fabric is weighed by ounce per yard—more weight usually leads to a longer lasting garment but sacrifices comfort and fit. Here are some of the most common weights and their pros/cons. 6 oz Fabric: These are the thickest jerseys you can find. Since the weight is high, the fabric drape is very minimal but the material is very durable. 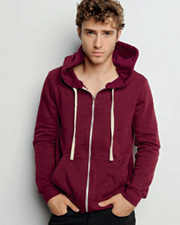 Great for layering in cold weather or for use as athletic wear that will face constant battering. Since it does not drape well, some women prefer to choose a lighter more form-fitting garment. 5.5 oz Fabric: Since mid-weight garments have less cotton in them, they not only tend to be more form fitting and breathable but are also less expensive making them ideal for women and budget conscious shoppers that still want durability. 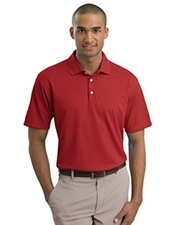 4.5 oz Fabric: These lightweight shirts are all the rage in department stores because they’re cheap, fashionable and are great for casual wearers. 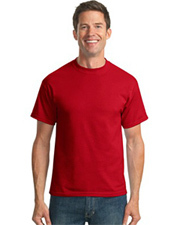 Great for imprinting beautiful artwork on, but are not well suited for athletic or work wear. These shirts are thin but still opaque so you cannot see through them. 3-4 oz Fabric: More of fashion statement for women and girls, these shirts offer a more sheer and comfortable wear. Although not 100% see-through, these shirts are not opaque and it is recommended these types of shirts are worn with appropriate undergarments in mind to avoid potentially negative social situations. As you can see, different materials and weights offer a vastly different wearing experience; a start up fashion apparel line is going to need a different kind of shirt than a local baseball team and choosing the right kind of shirt can impact your customers satisfaction immensely.